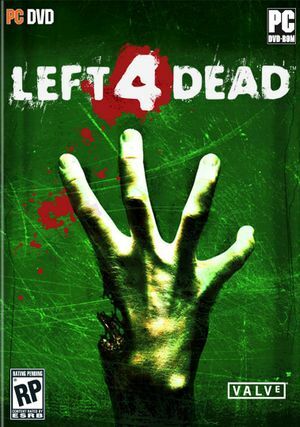 Left 4 Dead 2 includes all Left 4 Dead campaigns, Left 4 Dead 2 will likely be the preferable game to purchase. A hack enabling split-screen co-op is available; see Local play. Left 4 Dead Bundle also available. 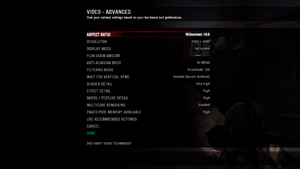 Settings, except for graphics, will also be synchronized. MSAA. SSAA forced through drivers (AMD) works too. 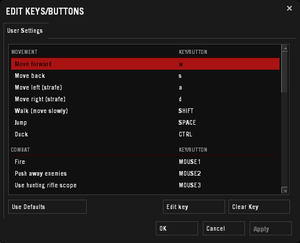 Set in Settings, Multiplayer; affects crosshair, HUD and survivor outlines. By default field of view cannot be changed. Only changeable option is viewmodel FOV. 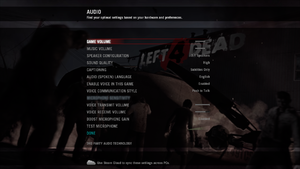 L4D split-screen mode was meant to be played on a single 4:3 or 16:9 screen. If you have a different setup then, the image could not entirely fit the monitor(s). Only available in a sequel. "Versus" mode. Up to 4v4 Survivors vs. Infected. Co-op (4 players) or "Versus" mode (up to 4v4 Survivors vs. Infected). 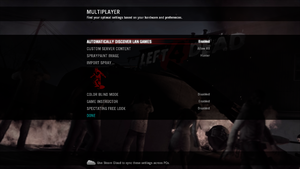 You can play Left 4 Dead over a local area network (LAN) connection. Open the developer console and type in: sv_lan 1. To clients to join a server, use: connect <ip>:<port> (for example, connect 192.168.1.1). You can check your ip by writing net_start. When done save the file as filename.cfg in <path-to-game>\left4dead\cfg. To run the cfg file, open the console during the game and type in exec filename.cfg If you want the CFG file to run automatically, name it autoexec.cfg. 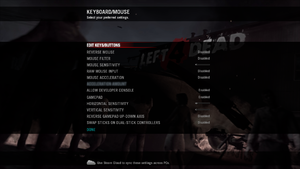 Since Split-screen mode in Left 4 Dead isn't officially supported, there are multiple important key settings which aren't immediately available. connect_splitscreen localhost [ip-address] 2 Join a LAN or Internet server in splitscreen mode. -w X -h Y Sets screen resolution (or window resolution if using -window). Example: -w 1920 -h 1080. -refresh X Sets your screen refresh-rate (Hz). Example: -refresh 60. -noborder -window Launches the game in a borderless fullscreen window (i.e. very Alt+Tab ↹ friendly). This may result in a minor performance loss. If you experience stuttering, disable Windows Aero. ↑ File/folder structure within this directory reflects the path(s) listed for Windows and/or Steam game data (use Wine regedit to access Windows registry paths). Games with Steam Cloud support may store data in ~/.steam/steam/userdata/<user-id>/500/ in addition to or instead of this directory. The app ID (500) may differ in some cases. Treat backslashes as forward slashes. See the glossary page for details. This page was last edited on 3 January 2019, at 02:55.